1 The decision to possibly create additional districts is pending. - 14 Nov 1834 : Presidency of Agra. - 01 Jan 1836 : North-Western Provinces. - 03 Apr 1858 : Oudh taken under British control, Delhi taken away from NWP & merged into Punjab. - 01 Apr 1871 : Ajmer, Merwara & Kekri made separate commissionership. - 15 Feb 1877 : Oudh added to North-Western Provinces. - 22 Mar 1902 : Renamed United Provinces of Agra and Oudh. - 03 Jan 1921 : Renamed United Provinces of British India. - 01 Apr 1946 : Self rule granted. - 15 Aug 1947 : Part of independent India. 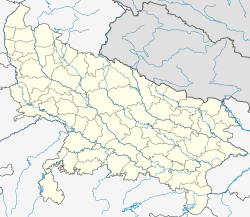 - 09 Nov 2000 : Uttaranchal state created from part of Uttar Pradesh.